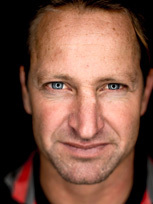 Chris Bertish has broken world records in big wave surfing, Stand Up Paddleboarding and many other water based disciplines - just as he has shattered perceptions of what is Possible, in everything he does. 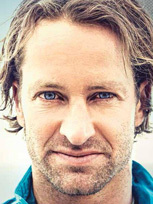 His mantra of Dream It, See it, Believe and Achieve it, has led Chris to redefine the approach to achieving success, not only across multiple sports, but also as an Author, Film Maker, Businessman and attaining any goal he has set for himself. In March 2017, Chris completed his most challenging adventure yet by successfully accomplishing something no other human on the planet has come close to achieving - becoming the first person ever to cross the entire Atlantic Ocean, over 7500km, alone and unsupported, on a Stand Up Paddleboard over 93 days. Embracing Change and being prepared for anything! Chris dares to achieve what most perceive to be Impossible. He weaves these topics into a spellbinding and captivating narrative complimented by a powerful audio visual presentation that will blow your audience away. Engaging Chris to address your organisation will ensure a valuable return on investment and measurable improvement in your team by being inspired to adopt a “can do” attitude and achieve greatness by implementing the tools and skills which Chris teaches through his powerful storytelling. In addition, by booking Chris you will automatically be giving back to community projects. A percentage revenue related to Chris’s speaking engagements globally, is donated through Chris’s various charity initiatives and his RAOK (Random Acts of Kindness) Projects. It's not all that often that I meet someone in life who literally comes up with a mind-blowing expedition and then has the coverage and ability to fulfil them, against all odds and its not often a speaker is so remarkable, he gets a standing ovation and Chris brought the house down. Meeting Chris and hearing his story had a huge impact on me and our entire team. I can highly recommend Chris who not only understood our brief but truly lives the theme Finding Courage. Everyone is just raving about your talk. Your story is truly outstanding and is told with humility, insight and humour, which are woven into a spellbinding narrative. As a motivational talk, I cannot fault it! Fantastic, truly fantastic, everyone was so inspired and thoroughly enjoyed your talk.